Makes nix-hound's mandibles appear purple, just like they are described in in-game. 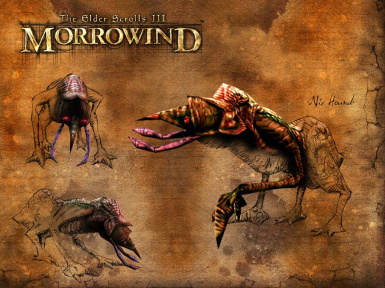 In Morrowind game dialogues, the nix-hound is described as "a rangy quadruped with long, purple feeding spikes", but in the actual game its mandibles appear green. This replacer corrects this inconsistence by modifying the nix-hound 3d model, so it's perfectly compatible with any texture replacer. 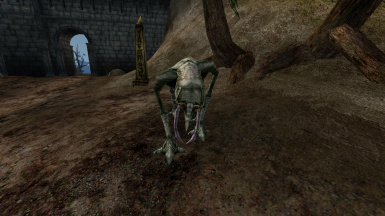 It also slightly corrects nix-hounds animation, so they don't constantly look around while fighting anymore. A mesh fix by Archimaestro Antares, which corrects nix-hound's knock-out animation, is also included.